Las Vegas is a holiday destination that is on bucket lists all over the world: home of neon lights, glamorous shows, and of course, casinos. We’ve all seen it in films and on TV, but going yourself to a Vegas casino is an entirely different prospect. 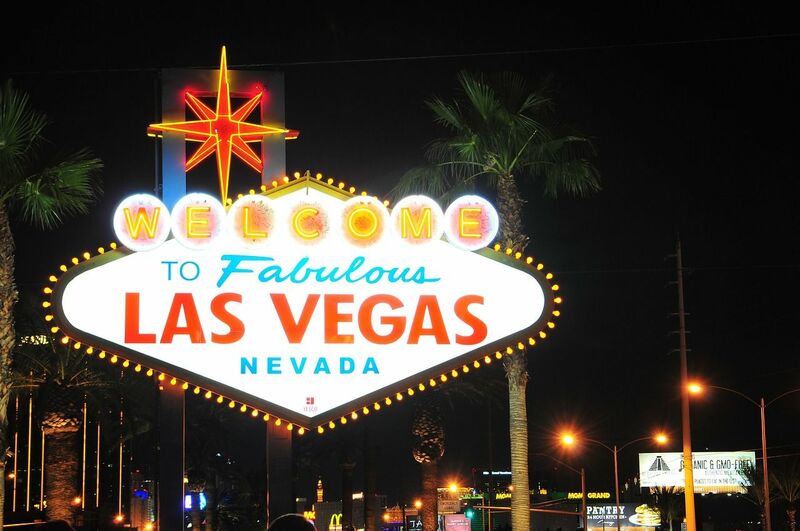 And a perfect way to do so is via a cruise deal on a Las Vegas holiday that stops off in ‘Sin City’ for a few days, allowing you to soak up all that is on offer. But for those that have never been, it’s a good idea to familiarise yourself with what to expect. So with that in mind, we have put together a beginner’s guide to Las Vegas casinos, preparing you to have the best time possible once you’ve stepped through the doors. You’ll likely be very excited when you arrive at your first Vegas casino, and it will be easy to become overwhelmed. Robbie Strazynski of Card Player Lifestyle – a must-visit news and resource website for poker players and fans – says that taking your time and doing a little exploring will do first-timers a world of good. “I think the best advice to a first-time visitor to a Las Vegas casino is ‘keep your hands in your pockets and take it all in for a while’. The sensory stimulation in a Las Vegas casino, even for veterans, can be overwhelming. Bells, whistles, lights, sounds, jackpots, exuberant players shouting at the tops of their lungs after a big win - it's almost surreal. You can certainly be tempted to jump right in to the deep end and start betting. What I remember doing on my first Vegas visit, however, is just taking the first hour or so to walk around the casino and take it all in. Slots games galore, a sea of table games, video poker parlours, the bingo hall, a packed and rowdy sports book... there's SO much to see. “Try to decide exactly how much money you’re ready to spend gambling, and set yourself a hard limit. 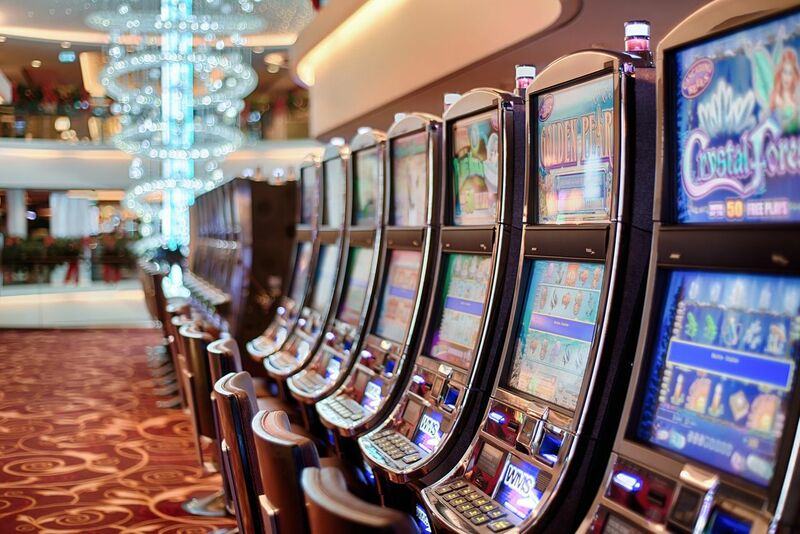 “The house always wins as the old saying goes, so keep in mind that casinos have a mathematical edge on every game they offer, which is why you should always consider your gambling budget as an entertainment expense. Of course this doesn’t mean you’re going to end up a loser every time. Everyone has a chance to win the big jackpot! Another important factor to remember is the table limits. Understanding these limits will be vital in you holding onto your cash. The table minimum equates to the lowest amount of money that you can bet for each round of play. This is usually signposted nearby the table. Try and target the games with lower table minimums, as this will help you play for longer, instead of blowing it all right away. Don’t be scared, enjoy yourself! For the uninitiated, and at times even seasoned pros, casinos can be a little intimidating. There is some serious business going on at these establishments, but also, importantly, a lot of fun. There may be many well-dressed members of staff, cameras, and security guards populating the place, but don’t let that impede what should be a wonderful time. You might be under the impression that everyone at the casino knows what they’re doing except for you, but that couldn’t be further from the truth. Many are in the exact same position as yourself, and just wanting to have a good time. And besides, there is plenty more to Vegas than gambling. Jonathan Little (who you can follow on Twitter @JonathanLittle), is a professional poker player and owner of JonathanLittlePoker.com. Jonathan knows a thing or two about casinos, but despite the seriousness of his business, his first advice for beginners is to have fun. Roulette 30, a complete resource for all things roulette, has some similar advice for first-timers, telling us that it’s important to just have fun. When you first decide to start playing, it’s a good idea to ease yourself in and start off by playing games of chance instead of skill. The slot machines require very little effort and skill from the player involved, all you have to do is feed in some money after all, and then push a button to see if you’ve been successful. 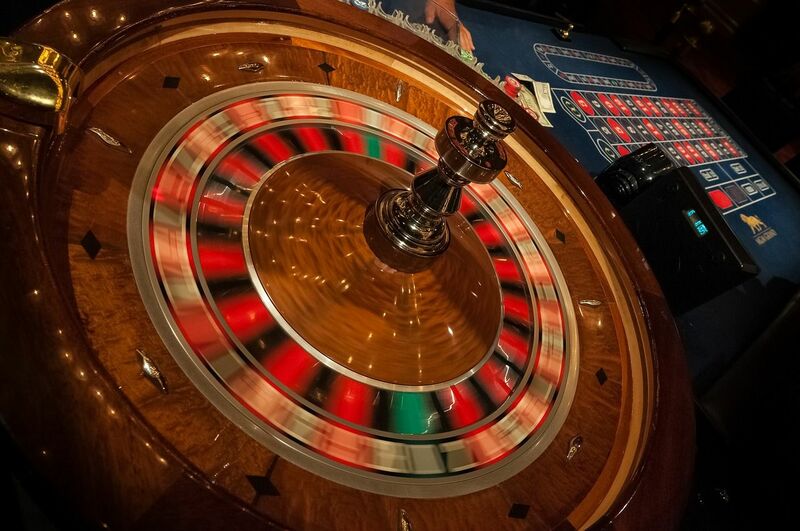 You will likely grow tired of the slots quickly, however, so gradually progressing to a game like roulette is a sensible step. Roulette is a great first introduction to the table based games, and even first-timers will be aware of the game’s iconic status. In a similar vein to the slots, there is not much skill required here. All you need is lady luck on your side when placing your chips on the board and hoping the ball lands wherever you picked! Roulette 30 have some great advice for how to best enjoy the game for those that are new to it and the Vegas casino scene. Roulette 30 also want to remind players to “protect your money from pickpockets.” This is indeed an important thing to keep in mind, so be aware of your surroundings, act sensibly, but don’t let it spoil your good time! Once you’ve grown comfortable with your surroundings and perhaps become a little more confident, it will be time to advance to the skill based games. These more intimidating table games, such as blackjack, craps, and poker, require some knowledge of the various rules at play, and a little grasp of the strategy it takes to be successful. Erwan from Las Vegas Jaunt says: “Most casino games have pretty simple rules and it should take you no more than 15 or 20 minutes to get the gist of it. Additionally, simply playing and practising around the kitchen table with friends and family can be a great way to familiarise yourself with the rules so you’re not mystified at the casino itself. A game that many have dreams of conquering before touching down in Vegas is, of course, poker. A challenge of nerves and skill, it can seem quite daunting for beginners, but Robbie from Card Player Lifestyle luckily has some top tips for those wanting to give it go and not become broke in the process. “Start off by playing a low buy-in tournament. If you're a first time Vegas visitor, you probably want your money (your gambling bankroll) to last for a while so you can have the full enjoyable gaming experience. Sitting down at poker cash tables might make those funds disappear a lot faster than you'd hope for, as fortunes can quite literally change on the turn of a card. Playing at small stakes tournaments is definitely a wise choice for beginners, and this advice is cemented by Jonathan Little, and he should know, being a seasoned pro who regularly travels the high stakes poker tournament circuit. 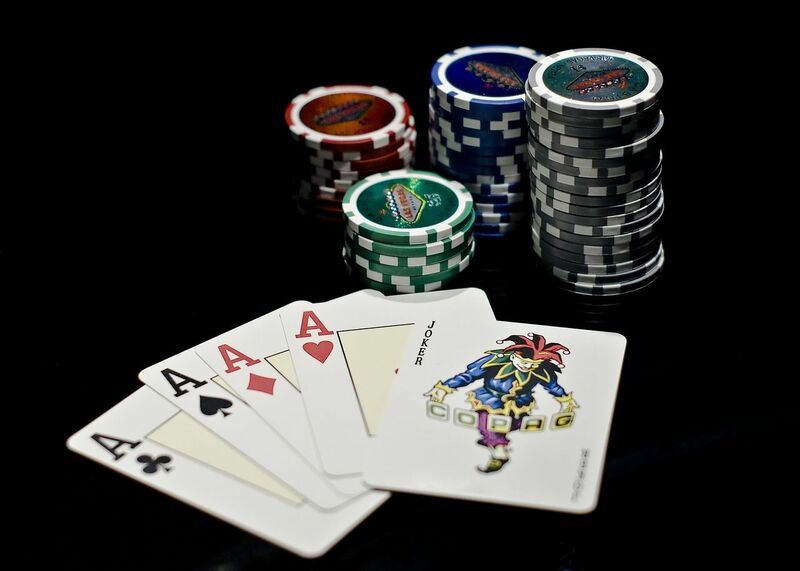 “If you are playing poker for the first time, I suggest you play the smallest stakes possible,” says Jonathan, “where you will, for the most part, play against other tourists. You should also consider buying in for a relatively low amount. 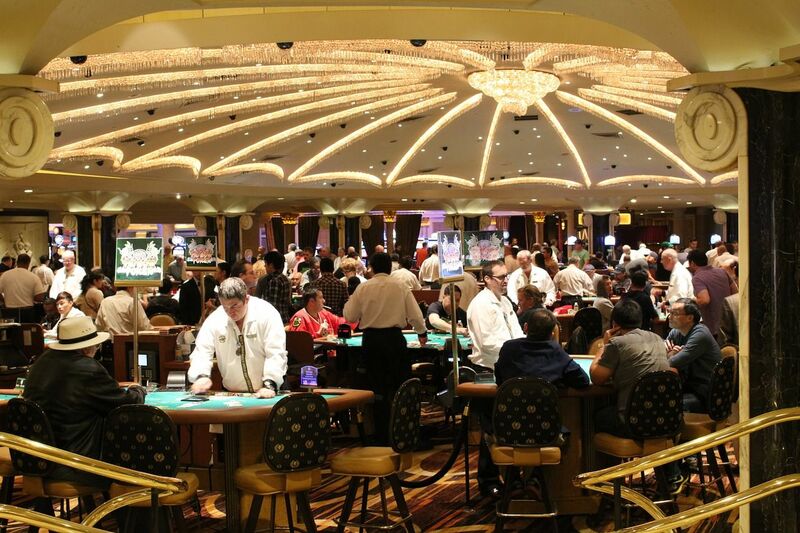 If you play $1/$2 no-limit, you can buy in for $40 at most casinos. While $40 may or may not last too long, you will certainly get to experience poker in a Las Vegas casino. “Alternatively, you can also buy into a small stake tournament for $50 or less. This will allow you to play for a while knowing that you will lose $50, at most. I suggest you play at Bellagio or Aria, where you are almost certain to be playing in the same room as some of the best players in the world. Sneak a peek in Bellagio's Bobby's Room for one of the biggest poker games in the world. Erwan from Las Vegas Jaunt has some valuable advice for not blowing one’s money all at once, advising gamblers/players to seek out games with a low house edge. “Not all casino games have the same house edge. Low denomination slot machines will often offer the highest house edge on the floor with 10%-15% (This means that in the long run, for every $100 you bet you would theoretically lose $10-$15). On the other hand, a game like blackjack can offer a house edge as low as 0.5% when playing the correct strategy. “Among the low house edge games we could recommend: Blackjack, craps (a pass line bet has only a 1.41% house edge), and baccarat (banker bet has a 1.06% house edge). Erwan also has some tips for saving money when playing blackjack, and suggests, much like Jonathan Little, to head downtown. “For a few years now the Strip casinos have regularly been increasing the minimum bets on their tables. It’s now difficult to play blackjack for under $15 a hand on the Strip and in most resorts you’re even more likely to find the lowest tables at $25 a hand if you’re there on a weekend. “On top of that, the low limit tables will often offer different rules that will increase the house edge. Regarding blackjack, this means that you should stay away from 6/5 tables. What that means is that if you hit a blackjack you only get paid 6 to 5 on your bet when the standard rule would pay you 3 to 2. “If you’re looking for some low limit action with good rules, you should definitely go check out the casinos on Fremont Street, also known as Downtown Vegas. Downtown Vegas is where it all began, and historic casinos like Golden Nugget, 4 Queens, and Binion’s are still standing. There you will still find a range of games with good rules at $5 and $10 minimums. Even if you’re not gambling, Fremont Street is a must-go anyway to feel a very different atmosphere from the Strip. Vegas is of course a place to have a great time and really let loose, but while in the casinos, it is important to stay on their good side and follow casino etiquette. Really all that is needed from you is common courtesy and the basic manners that you would display in everyday life, but there are also a few specific rules to know. First timers may not be aware of this fact, but at Las Vegas casinos things aren’t quite as expensive as one might imagine, especially in the realm of drinks. And if one wants the best chance of winning, looking to older establishments could be a smart move. These two facts were highlighted to us by Wanderluststyle, a travel and lifestyle blog run by Hawaii based couple Reid and Maryrose. No, you didn’t misread that, drinks are indeed free at Vegas casinos, as long as you’re placing bets then waiters and waitresses will come and take your order. This not only keeps the customers happy, but encourages visitors to continue playing for extended periods of time. Just remember to tip a dollar or two per drink and then enjoy the refreshments! And as you can see, heading downtown comes highly recommended, with many in the know suggesting you do so. Rely on the knowledge and experience of others and follow this top advice. Of course, the most important thing to remember during your time at a Las Vegas casino is to have fun. This is why you are there after all! There is so much to see and do during your visit so you should try not to get too wrapped up in the high stakes thrills on offer. To ensure that you continue to have fun, it’s crucial that players know when to stop. Make sure to quit while you’re ahead, and not get too greedy. A bird in the hand is worth two in the bush after all. A good way to protect your bank account, and to make sure you leave the casino with a smile on your face, is to try and set aside half of your winnings every time you win big. Don’t ever gamble this portion of your winnings, that way you have a guaranteed win and always something to leave cheerful about.